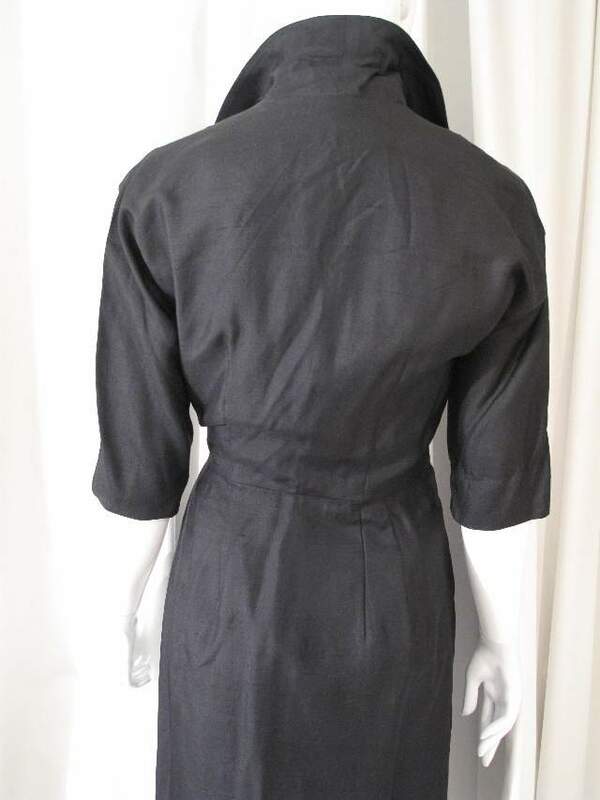 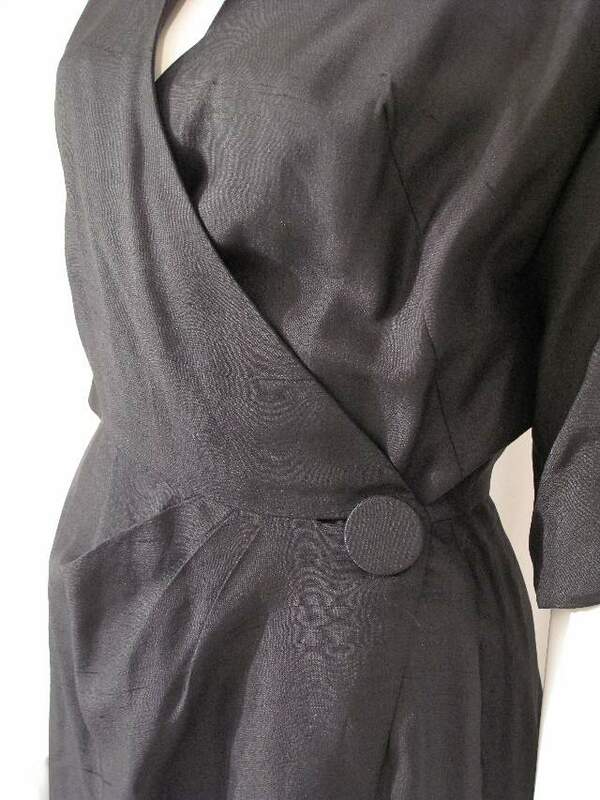 1950's Black silk shantung vintage wrap dress. 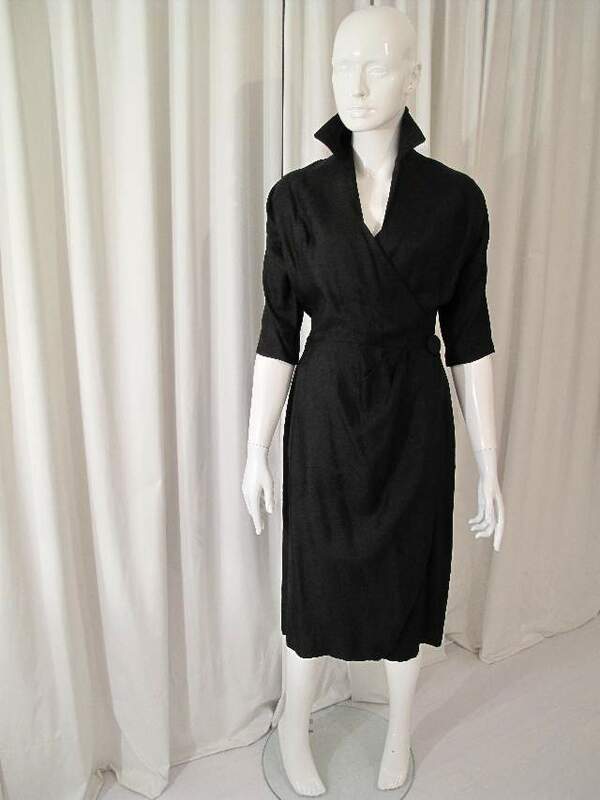 Classically styled wrap dress with pleat details and large covered button fastening on hip. 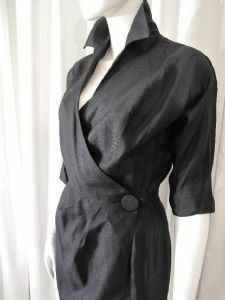 The dress has 3/4 length dolman sleeves and stand collar, it is fully lined. 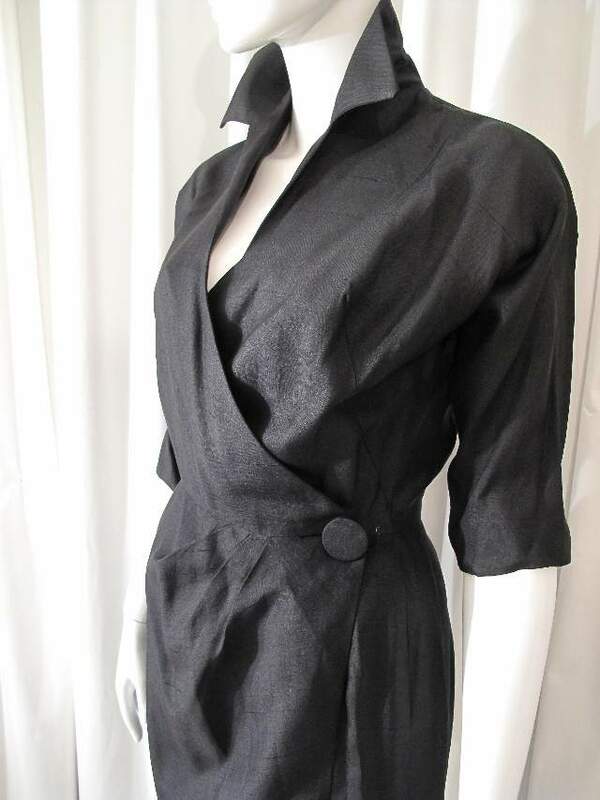 This is a beautifully cut, tailored piece, highly evocative of the period.